"Shall I compare thee to a summer's day," said Shakespeare in his sonnet. Clearly, when he said this, he didn't have the Indian summers in mind. Summers in India are getting hotter year-by-year, meaning every beauty conscious person's nightmare. The sun tans the skin severely, pollution, hot winds and toxins cause skin damage and the dust and grime clog the pores. Beauty products abound in the market, each claiming to be the best for you. But, hold on! Before you loosen your purse strings for those oh-so expensive products, it's time to raid the kitchen and follow some grandma's tips. Bring kitchen ingredients to your rescue and ensure a flawless skin. These treasures shouldn't be missed out on. Make sure you follow them religiously to help make your skin healthy and glowing. 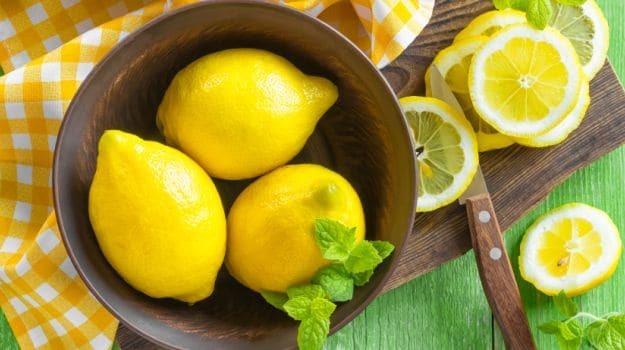 Before getting your hands on the commercial products, make sure you use these handy home remedies that will come to your rescue, especially during summers. 1. Wash your face frequently with cold water to remove the sweat and dust that tends to accumulate on the face. Using cold milk on a cotton ball is also an option. 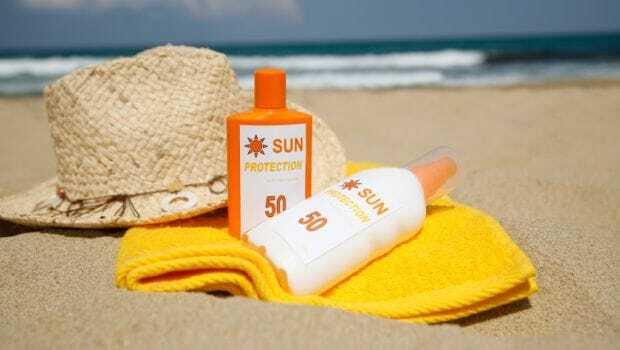 It is important to protect our skin from the harmful UV rays of the sun. Keeping our skin safe in the sun is quite important. So, don't forget to apply sunscreen, at least 30 SPF, before you step out in the sun. 2. The skin needs to be exfoliated, at least twice a week, particularly in this season to keep the glow intact. A paste of besan and milk or malai/cream with some oatmeal or turmeric and lemon will do wonders. Just rub this paste on your face and neck gently in a circular fashion and see the difference yourself. 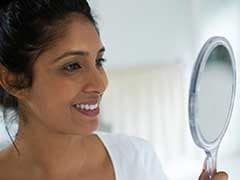 Better still, use a paste of multani mitti, or Fuller's earth, rose water and sandalwood powder for acne prone skin; whereas take sandalwood powder, curd and add a pinch of turmeric powder for mature skin for the same purpose. 3. Cleansing your skin is equally important. 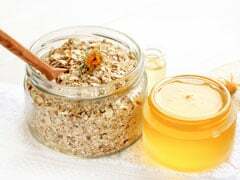 There are many home remedies that are known to give good results like yogurt and honey, if applied on the face for 10 minutes will give you a nice and clean skin. Also, don't forget to moisturise your skin regularly. Take a good moisturiser and apply it daily to keep your skin healthy and hydrated. Use a gel-based moisturiser for oily skin and water-based moisturiser for normal skin. 4. Tanning is another big problem in summers that takes a lot of our effort and time to be treated. But, not anymore! To remove tan, reach out for tomato juice. Tomato and lemon juices are good for all skin type. Mix a little sandalwood powder with these juices if your skin is too dry; multani mitti if it is oily and prone to acne; and curd and sandalwood powder if it is mature. Leave the paste on for about ten minutes and then wash it off with cold water. You could also use a mixture of honey and lime to remove tan. Apply it on your face for 15-20 minutes and then wash it off. 5. Another remedy to treat tanning is quite easy and quick. Make a paste of raw milk and gram flour. Add a few drops of lemon juice and apply on the face in a circular motion. Wait till it dries off somewhat, then wash it off. Lemon juice alone acts as a natural bleacher, which may also help even your tone. But, it dries the skin. Therefore, make sure you apply a lot moisturiser after that to get a flawless skin. Lemon juice alone acts as a natural bleacher. 6. Aloe vera is also a great remedy for summers. Freeze aloe vera juice into small cubes. You can use these frozen aloe vera juice cubes to rub on your face when you come in from the sun, or before you apply make-up and even at night. It will leave your face fresh and glowing. Aloe vera contains two hormones, namely auxin and gibberellins. These two hormones are responsible for providing anti-inflammatory properties that reduce skin inflammation. It has known to cure chronic skin problems like eczema. 7. Banana is another very skin friendly fruit. Mash a banana to pulp and add some milk or egg white to it. Apply it evenly on your face and keep it for about 20 minutes. Then wash it off with cold water. Get ready to have a smooth skin. Banana contains moisture, potassium and vitamins E and C that are responsible for promoting clear glowing skin. Make sure you use this pack regularly to ensure a perfectly flawless skin. 8. Rose water is a good friend of our skin during summers. You can dab it on the face using a cotton ball in order clean and cool the face. Alternatively, you could spray rose water on your face for an instant fresh look. Rose water has anti-inflammatory properties that can help reduce the redness of irritated skin, get rid of acne and eczema. It is known to be a great cleanser and aids in removing oil and dirt from the skin. 9. Papaya is another wonderful option for your skin. Mash papaya to make a paste and add some lemon juice to it. Apply the paste on your face and leave it on for 20 minutes. You could also add egg white and honey to the papaya paste and apply it for 20 minutes. And, that's it. Get ready for a soft and glowing skin. Papaya helps nourish the skin; thanks to the presence of vitamin A and papain enzyme, it may help remove dead skin cells and inactive proteins, thus replenishing your skin. 10. Watermelon juice, coconut juice and cucumber juice are known for their cooling properties. Apply these juices regularly on your face to calm your skin from the outside heat. Watermelons contain vitamin A, B6 and C along with being packed with lycopene and amino acids, all combining to contribute towards healthy skin. Do not just apply, but also drink these juices regularly to ensure a flawless skin. 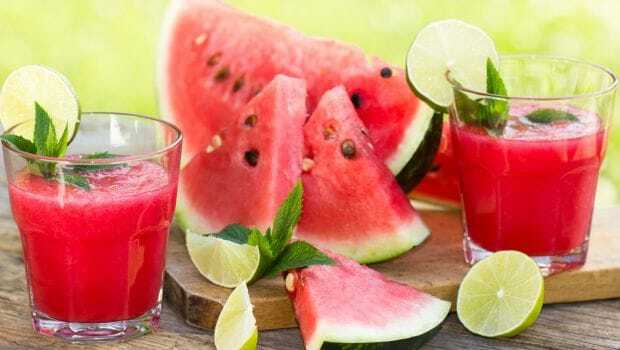 Watermelon juice is known to have cooling properties. One needs to eat right during summers. Eat light meals, green vegetables and fruits that are high on water content like watermelons and melons. It is always good to avoid oily, spicy food and salty, fried snacks. Drinking plenty of water is a must. Six to eight glasses or 2 litres is the recommended amount. Avoid tea, coffee and aerated drinks, instead opt for fresh fruit juices, coconut water, or butter milk. If you find the taste of water little boring, then infuse it with fruits like apple and strawberries. Alternatively, you could even add lemon or cucumber slices, ginger and mint to your water and drink it throughout the day. Summer maybe a difficult season, but these tips will definitely help you have a glowing complexion.